Sarah Rothberg, "Memory/Place: My House", 2014-2015. Virtual reality environment, Oculus Rift headset, swivel chair, CRT television monitor, carpet. Courtesy of the artist. Wonsook Kim, “Children’s Room”, 2011. Acrylic on canvas. Courtesy of the artist. 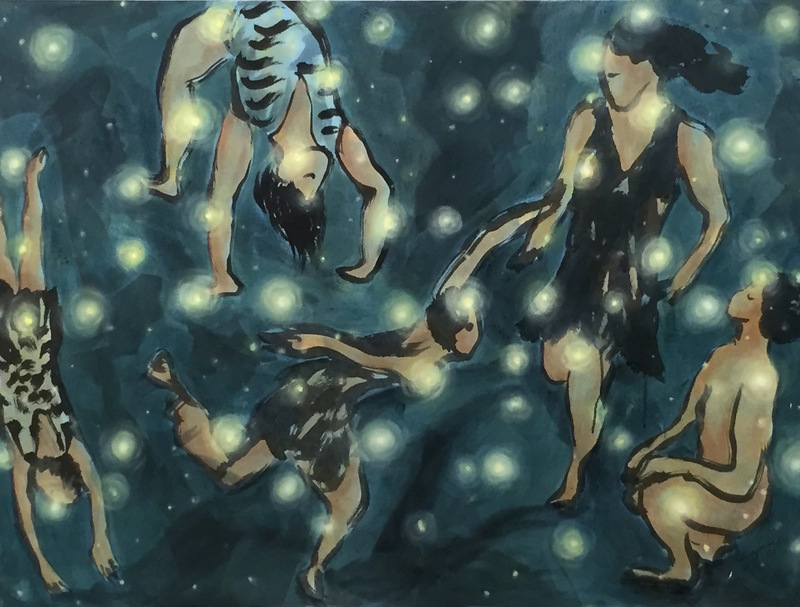 Wonsook Kim: Lines of Enchantment is the artist’s first solo exhibition at Illinois State University since her MFA degree project Normal Experience in 1976. In the intervening decades, Kim has developed an international following with more than 60 solo exhibitions throughout the U.S., Europe, and Asia. Kim will present a lecture at noon Wednesday, September 21. Beyond the Norm: An International Juried Print Exhibition is organized by Normal Editions Workshop to celebrate NEW’s 40th anniversary. The exhibition features 54 artists from the United States and Canada who were selected from an international pool of applicants by juror Susan Tallman. Tallman will present a lecture at 4 p.m. Tuesday, September 20. Placelessness features interactive installations by an individual artist and a collaborative duo, transforming two galleries into immersive environments in which the viewer experiences an oscillation between their sense of actual and virtual space. Placelessness features the work of Sara Rothberg, Marissa Lee Benedict & David Rueter. An opening reception for all three exhibits will be held from 5–7 p.m. Tuesday, September 20. All events are held at the University Galleries in Uptown Normal, 11 Uptown Circle, and are free and open to the public. For more information or to arrange a tour or special accommodation, please contact University Galleries at (309) 438-5487 or gallery@ilstu.edu.